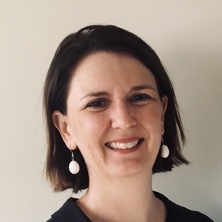 Dr Ingrid Hickman is a Principal Research Fellow and Director of Research with the Department of Nutrition and Dietetics at the Princess Alexandra Hospital and the Mater Research Institute-UQ in Brisbane, Australia. Ingrid is an Advanced Practicing Dietitian who completed her PhD at the University of Queensland in 2004 investigating the role of lifestyle factors in the development and progression of chronic liver disease. Since then, her research work has specialised in investigating the metabolic factors that contribute to obesity-related chronic disease and translating scientific findings into improved evidence-based practice in medical care settings. Her clinical research team and collaborations are international and multidisciplinary and consists of Endocrinologist’s, Gastroenterologists, Pathologist’s, basic scientists, biomedical engineers, research nurses, Dietitans and Exercise physiologists, all working in collaboration with the expertise across the hospital and university campus to deliver scientifically robust evidence for better management of obesity-related disease. Impact of nutrition on features of chronic liver disease, liver failure and liver transplantation. Ingrid is well placed to link scientific discoveries and clinical practice. Her role within an active tertiary hospital nutrition and dietetics department provides direct access with clincians who are best placed to translate the scientific discoveries of the research team into better treatments for the patients needing our care. Ribaldone, Davide G., Fagoonee, Sharmila, Hickman, Ingrid, Altruda, Fiorella, Saracco, Giorgio M. and Pellicano, Rinaldo (2016) Helicobacter pylori infection and ischemic heart disease: could experimental data lead to clinical studies?. Minerva Cardioangiologica, 64 6: 686-696. Hickman, I. J., Webb, L., Stack, A. A., Knight, B. A., Bull, C. F., Russell, A. W., Cotugno, J. D. and Ball, L. E. (2016) Prioritising patient-centred care in tertiary hospital outpatient services. Perspectives from patients with type 1 diabetes. Australian Diabetes Educator, 19 4: . Adriani, A., Repici, A., Hickman, I. and Pellicano, R. (2014) Helicobacter pylori infection and respiratory diseases: actual data and directions for future studies. Minerva Medica, 105 1: 1-8. Rogers, Marilyn and Hickman, Ingrid (2008) Organisation of a Baby Café: An innovative approach. Practising Midwife, 11 5: 40-45. Variability in adherence to an unsupervised exercise prescription in obese women. Should patients with type 2 diabetes and raised liver enzymes be referred for further evaluation of liver disease? Is vitamin E beneficial in chronic liver disease? Croci, Ilaria, Hickman, Ingrid J., Wood, Rachel E., Borrani, Fabio, Macdonald, Graeme A. and Byrne, Nuala M. (2014). Fat oxidation over a range of exercise intensities: fitness versus fatness. In: Conference Proceedings: 6th Exercise and Sports Science Australia Conference and Sports Dietitians Australia Update: Research to Practice. 6th Exercise and Sport Science Australia Conference, Adelaide, SA, Australia, (50-50). 10-12 April 2014. Croci, Ilaria, Choquette, Stephane, Byrne, Nuala M., Hills, Andrew P., O'Moore-Sullivan, Trisha M., Macdonald, Graeme A., Prins, Johannes B. and Hickman, Ingrid J. (2010). Insulin Resistance and Impaired Substrate Utilization During Fasted, Hyperinsulinemic and Exercise Conditions in Non-Alcoholic Fatty Liver Disease. In: Obesity. 28th Annual Scientific Meeting of the Obesity, San Diego Ca, (S106-S106). Oct 08-12, 2010. Petchey, W., Hickman, I., Choquette, S. and Isbel, N. (2010). Chronic Kidney Disease Is Associated with Abnormal Lipid and Carbohydrate Metabolism. In: Nephrology. , , (32-33). .
Phillips, L. K., Peake, J., Zhang, X., Hickman, I. J., Huang, B. E., Simpson, P., Li, S. H., Whitehead, J. P., Martin, J. H. and Prins, J. B. (2010). The effect of a high fat meal on postprandial arterial stiffness in obesity and Type 2 diabetes. In: 92nd Meeting and Expo of the Endocrine Society (ENDO 2010), San Diego, CA, U.S.A., (). 19-22 June 2010. The Prevalence of Metabolic Derangements after Liver Transplantation Is Higher in Patients with Hepatitis C.
Macdonald, C. Graeme A., Lipka, Geraldine, Brown, Joseph, Hickman, Ingrid, Fawcett, Jonathan, Lynch, Stephen and Marwick, Thomas (2009). The Prevalence of Metabolic Derangements after Liver Transplantation Is Higher in Patients with Hepatitis C.. In: American Journal of Transplantation. 9th Joint Meeting of the American-Society-of-Transplant-Surgeon/American-Society-of-Transplantation, Boston Ma, (526-526). May 30-Jun 03, 2009. Ipavec-Levasseur, S., Byrne, N. M., Cowin, G., Hickman, I. J., O'Moore-Sullivan, T. M. and Prins, J. B. (2008). The effect of a lifestyle intervention on visceral fat, liver fat and intramyocellular lipids in obese men. In: International Journal of Obesity. 16th European Congress on Obesity, Geneva Switzerland, (S72-S72). May 14-17, 2008. Ipavec-Levasseur, S., Byrne, N. M., Cowin, G., Hickman, I. J., O'Moore-Sullivan, T. M. and Prins, J. B. (2008). Obese men cannot utilise intramyocellular lipids or intrahepatic lipids during 1-hour of moderate intensity exercise. In: 16th European Congress on Obesity, Geneva, Switzerland, (S16-S16). 14-17 May 2008. Hickman, I. J., Russell, A. W. and Macdonald, G. A. (2006). Causes of raised liver enzymes in a diabetic clinic. In: Journal of Gastroenterology and Hepatology. , , (A303-A303). .
Hickman, Ingrid Joy (2004). The role of obesity in the development and progression of chronic liver diseases PhD Thesis, School of Medicine, The University of Queensland. An investigation into the effects of improved glycaemic control on liver injury in patients with type 2 diabetes.